It was unanimous. Everyone wanted the formula for the perfect red. I wasn’t trying to “tease” or “bait” you. I actually had gotten paint all over the bar code that Lowe’s puts on your cans to identify the mixed color and wasn’t sure which sample I had used. I was finally able to get to Lowes yesterday and they looked it up for me. My Lowe’s paint guys are sooooo helpful! So, no fancy recipe. Nothing complicated. Just a messy painter who slopped all over her can. This is why it is so important to try the color and not go just off the swatch. To me….the swatch looks burgundy. And I definitely didn’t want burgundy. On wood…..it actually is the “perfect” red. You wouldn’t believe how different it looks in that part of my living room right now. For the perfect red……Lowes sells the Valspar samples for around $2.80. Go try the perfect red for yourself. I have so much to tell you guys. I need your take on a couple of things. Make sure to stick around. I need you all! When will we be able to catch up? Were you one of the ones waiting for the color? 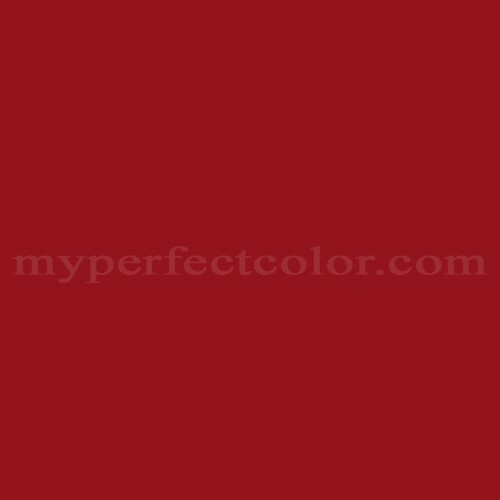 If not, for $2.80 would you find something to paint this perfect shade of red? I would love to hear your plans! ← Meet Me Monday Mother’s Day Party! love love love – thank you so much!!! I have a desk just waiting for this color. Now that I see your table I may do a little table I have been wondering what color it should be. Thanks. Just so happens that we are doing a make over on our front porch/door and the new color is…..Quite Red 1011-3! After hemming and hawing in the paint aisle for two days I decided on Saturday that Quite Red was the one! I’ve been all about the red door lately and I absolutely loved your little red dresser, lucky for me that it happened to be the same. Can’t wait to see how our door turns out after seeing your lovely projects! Planning to paint my front door. Will make note of color and try a sample. I have my son’s old dresser out in the garage that is ready to paint, and I’ve really debated with myself over the color. Was thinking turquoise or a midtone blue, but this color is awesome! Good job (as usual!). You are such an inspiration to me, please keep up the good work! You’re right, the paint chip always looks different…I LOVE your red, my fave color in the whole world! the minute I saw this pic in the thumbnail I knew it had to be you! It really is the perfect RED! SO beautiful!! Love this color. Would like to paint a dresser with it but have a question. I have not painted a piece of furniture before…Could you please let me know what kind of paint do you use? Thanks! I might use it on a pair of end tables. I love this dresser!! It is so lovely!! I am new to this painting furniture and trying to learn as much as I can. I am so glad I found your site! Truly inspiring! Could you please tell me did you the dark wax over it? Is that what I am seeing or is it a different base coat underneath that I am seeing coming through? If this info is already on your site I apologize. I tried searching it to see if there was a tutorial already on it but didn’t see it. This piece did not have the dark wax. It is the wood peeping through it. Start a piece! I promise …..it will only get easier. XO! I would like to paint a child’s chair to go with a desk. The chair is a combination of metal and wood. Could I paint the entire chair with the “perfect red”?And, would I use the mini-wax on both the wood and metal after it is painted? I am a big chalk painter and due to the limited colours by some of the more popular chalk companies, I am into mixing and making my own colours. When you did the red chest with the Valspar flat interior paint, did you mix it with other ingriedients like, plaster as I did not see what the mix was made of.